Kroos and Ronaldo proving that troublesome victories taste the best. The old Real Madrid is gone. We better get over it. It’s smoldering ruin, further damaged by the embarrassing cup exit against Leganés, has gone to Estadio Mestalla this weekend. There was no way around it: on Saturday, only three points mattered. 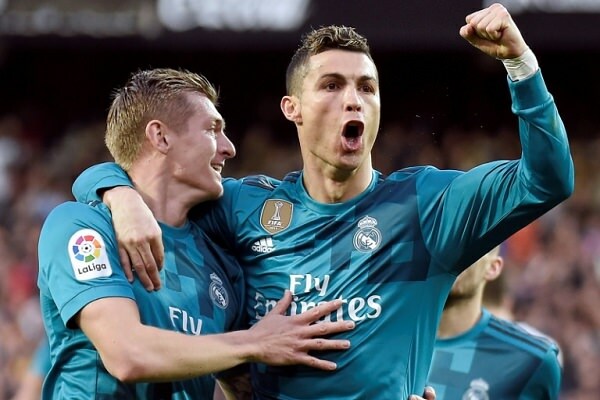 A win was virtually taking Los Blancos to the third place, as they’d a game in hand to overtake VCF; a defeat would dig the Champions League holders deeply in the Europa League spot. For a team in the worst slump since 2004, this was a do-or-die affair. Madritistas can sleep in peace – their team has done it. 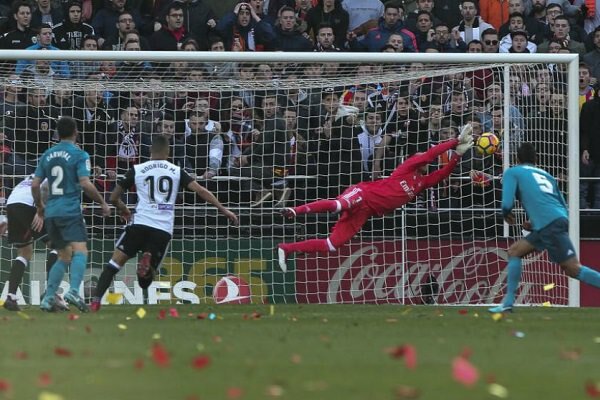 The visitors huffed, puffed, got several lucky breaks here and there, heavily benefited from Martín Montoya’s recklessness, but, in the end – their win was well-deserved. The final touches of the second half, when team in ocean blue kits has been hammering Valencia through their subs’ effort, have left a positive impression. Yet, still: the invincible Real Madrid has not been revived. The two-time Champions League winners did not give away the ball in their own defensive third the way Toni Kroos did in the 10th minute. Rodrigo, who feasted on that error, had enough space to come up with something better than a misguided long-ranger that flew over the bar. Kroos later redeemed himself with the final goal of the game – but that goal probably wouldn’t happen if the hosts were so lenient at punishing his uncharacteristically poor pass. The two-time Champions League winners did not feature Casemiro making awful decisions. The unsung hero of their glorious European campaigns was partly at fault when he failed to control Kroos’ ball. However, his major blunder came half an hour later, when he’s been robbed by Dani Parejo in his own box. That should have resulted with a penalty, as the Brazilian’s follow-up challenge was late. The referee has let it slide, though. The two-time Champions League winners did not see Cristiano Ronaldo missing shots like the one from the 27th minute. The Portuguese’s awareness and positioning was perfect and, at that moment, he displayed the pace of a 20-years old. Unfortunately – his finish, attempted from a tight angle, but with only a goalkeeper to beat, was nowhere near the 2015/16 or 2016/17 quality. A year ago, that feeble shot would’ve flown straight into the roof of the net. Ronaldo makes it 2-0. His penalty skills are still there. To put it simply: the immense individual quality that RM displayed for the past 24 months has largely disappeared. Or rather: it’s been put to sleep – because, the longer the Valencia match went, the better Zidane’s team was performing. 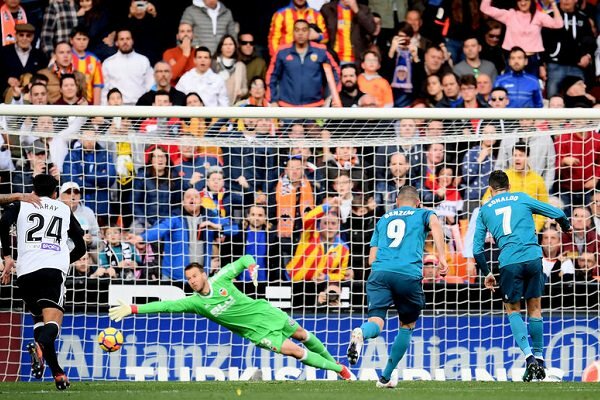 In terms of sheer stamina, Los Blancos were superior to their opponents and it showed in the decisive moment, when Marcelo sealed his team’s victory with a mazy run crowned by a neat, left-foot finish. Additionally, at this point, we can safely put to bed several other myths from the Spanish capital. For instance, BBC. The three musketeers, who were supposed to form an eternal rivalry with Messi, Suárez and Neymar, have been disbanded even before Paris Saint-Germain came and ruined the MSN partnership. Injury blows all across the lineup caused the unthinkable: on Saturday, Bale, Benzema and Ronaldo started a match together for the first time since the fateful, home El Clásico in April, crowned by Barcelona’s last-gasp winner. As expected – it wasn’t the best game they’ve had. 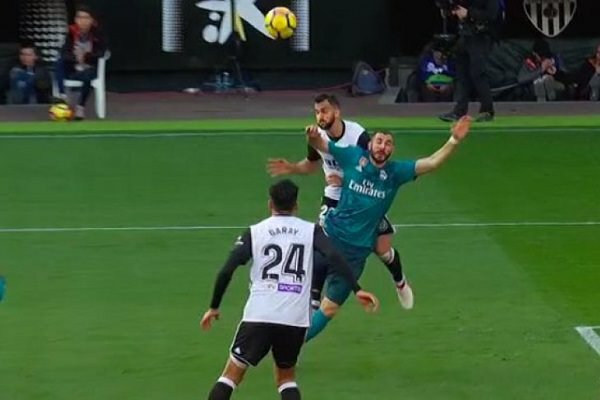 Bale, prolific against Celta and Deportivo, missed an early opportunity when over-the-top ball caused Neto and Garay to collide and The Welshman scooped the rebound. It wasn’t the clearest chance but good enough for a world-class footballer to score from. He didn’t. Zidane had enough of him after 69 minutes – and once he was off the pitch, Madrid’s performance has improved drastically. On paper, Benzema, a bit more involved, has helped his team massively by winning a penalty. Unfortunately, unlike the 15th minute Ronaldo accident, his 37th minute tumble in the box was not caused by Montoya at all. The Frenchman was simply late to jump and meet the arriving cross, felt the completely innocent contact from behind by the opposition’s player and sold it the best way possible. Productive – but not really impressive. A mysterious foul in a duel that otherwise looked hopeless for Benzema. Cristiano’s game is hard to assess. He expertly finished two penalties, proving that this skill is still one of his huge assets. The run and subsequent footwork that drew the first spot kick from Montoya also deserves the praise. But then, there was the aforementioned miss, as well as a bunch of blocked shots and the free-kick from the 79th minute. Good old Ronaldo, who could mysteriously blast that ball over the wall for a set-piece worldie, is gone. Then, after the BBC-section, there was also the Keylor Navas predicament. For months, he’s been tipped to leave Santiago Bernabeu, being reportedly too short, too erratic, too slow, too low-profile to handle the job at the Spanish capital. Two years ago, a minute delay in David de Gea’s paperwork saved the Costa Rican from permanently dropping to the bench; even the following conquests in all competitions have hardly improved his position in the press’ eyes. Well, newsflash: ‘Kevlar’ Navas is on top at the moment. He’d shield his team’s 1-0 lead by parrying fierce Kondogbia’s effort. He’d prevent Valencia from getting a crucial half-time goal, getting fingertips on Gonçalo Guedes’ effort. He’d finally smother Dani Parejo’s strike which, quality-wise, was Los Che’s best hit of the match. All while his employers are still angling for Kepa Arrizabalaga and English tabloids continue to link De Gea with Real. What a composure! But what’s next for this new, recovering Los Blancos? Their next ten league fixtures fixtures are hardly testing. Apart from the visit at Estadio Benito Villamarín, the champions shall face Levante (away), Sociedad (home), Leganes (away), Alaves (home), Espanyol (away), Getafe (home), Eibar (away), Girona (home) and Las Palmas (away). Even far from their best shape, Zidane’s players should pick up at least 28 points from those matches. This should, at the very least, translate into a very comfortable 3rd place climb. Then, there’s the Champions League. In December, the Paris-Saint Germain tie looked like a jewel in this season’s UCL crown. The dependable, old title-holders against new, up-and-coming French side powered by the botomless war chest from the Middle East. The last years’ most fulfilled side versus easily the most disappointed team – a team that blew a 4-0 aggregate lead. Luka Modrić versus Marco Verratti. Marco Asensio versus Kylian Mbappé. Cristiano Ronaldo versus Neymar. From today’s perspective, though, the Zidane-Emery clash could just as well prove to be the struggle of who can conquer their own weakness better. A week ago, at Lyon, Les Parisiens failed to contain the brilliance of Nabil Fekir. That losing effort could have cost them more: Mbappé suffered an injury after a collision with goalkeeper Anthony Lopes and missed out on the Montpellier win. He’s expected to be back for the Madrid games – but how good his match fitness will be, we’ll yet to find out. Alas – even in the midst of a minor hiccup, the French side remains a slight favourite here. Neymar, the absolute bane of both UCL and Ligue 1 teams, will surely be rested before his greatest challenge of the season and approach the Champions League tie with as fresh legs as they can be in the middle of February. PSG also have Edinson Cavani’s top goalscoring form on their side – the Uruguayan has just broke Zlatan Ibrahimović’s record for most goals scored in the navy blue shirt. 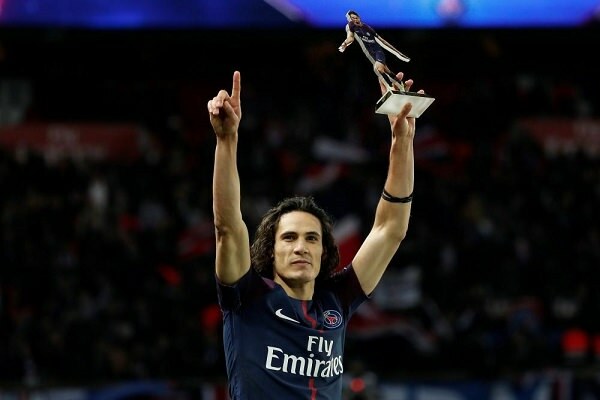 A terrible trophy for a fantastic achievement – Cavani has been deadly for months. The stakes are high. Real’s success would open their a headway to the unheard of, third consecutive Champions Cup. Their failure, on the other hand, could prompt a long-awaited revolution in the dressing room. The fact that a prepostrous rumour of ‘Neymar to Madrid’ is gaining traction just six months after the Brazilian’s most expensive transfer ever, proves how hungry for reinforcements Madridistas are. This is going to be the toughest test of the champions’ character. Especially considering the fact that the 2017/18 league title is already gone.